The process of installing the Gibraltar cable rail system was very successful from pre-bid information all the way through the final steps of hanging the cable rail. ...By far the easiest of any cable rail system we have ever installed. 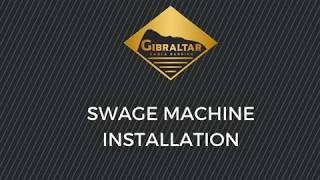 The ease of installation, the way the material is installed, we found that Gibraltar has a better system. My employees feel that way, too. We do prefer to use Gibraltar, since the installation is easier and more user friendly. They have materials that make installations more cost effective. We had tried other products before but Gibraltar is the best. As we started using them we saw the difference in their work and product and started using them more. They are very good about follow up and they backup their solutions. We used them in a cable rail job and the service was just phenomenal. Gibraltar is one of the best products in the market. Gibraltar is the best in the business. Pricing, ease of installation and service are their strengths. Their cable system is the best in class. It is very easy to use. Gibraltar is one of the best products in the market. Gibraltar is the best in the business. Gibraltar has the best value. I consider Gibraltar products best in class. …the ease of installation, the way the material is installed, we found that Gibraltar has a better system. My employees feel that way too. …they go out of their way to deliver on time. Their staff and personnel are excellent. They’ve always been there to supply the things you need – materials, consultation, training. We prefer to use Gibraltar since the installation is easier and more user friendly. They have materials that make installations more cost effective. We know that if we go with Gibraltar, then we know what our savings will be from a labor cost perspective. They have competitive pricing and good customer service. And they have a really good product. 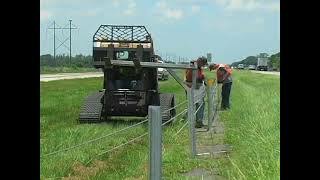 …their high-tension cable barrier is best in class. 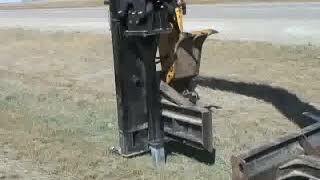 They are easy to work with and their service is good. As we started using them, we saw the difference in their work and product and started using them more.